In 2013, the National Fish and Wildlife Foundation awarded a Fisheries Innovation Grant to Dorothy Lowman to convene a National Electronic Monitoring Workshop. Lowman is a natural resource consultant and Chair of the Pacific Fishery Management Council. EDF cosponsored the workshop, viewing it as a linchpin in bringing fishery leaders together to identify common challenges, and common solutions, to monitoring—one of the most important elements of fisheries management. The workshop facilitated information exchange across regions and helped address outstanding challenges in implementing cost-effective monitoring systems. After more than seven months of planning by a Steering Committee that included fishing industry, managers, monitoring companies and EDF, the National EM Workshop was held January 8th and 9th in Seattle, Washington. More than 150 fishery managers and stakeholders from across the country attended the workshop along with select representatives from Canada, Denmark and Australia. The workshop included a technology showcase and poster displays, topic-driven breakout sessions, fishery and gear type-specific sessions, and plenary sessions with a diverse panel of speakers. Ms. Lowman created a website (www.EMinformation.com) to highlight key takeaways of the workshop and provide a forum to coordinate and share information regarding monitoring activities in different regions. Feedback from the workshop has been overwhelmingly positive. One attendee felt renewed enthusiasm for pursuing EM/ER in his region. Another attendee remarked that many of the major players are now on the same page with understanding EM and its possibilities. 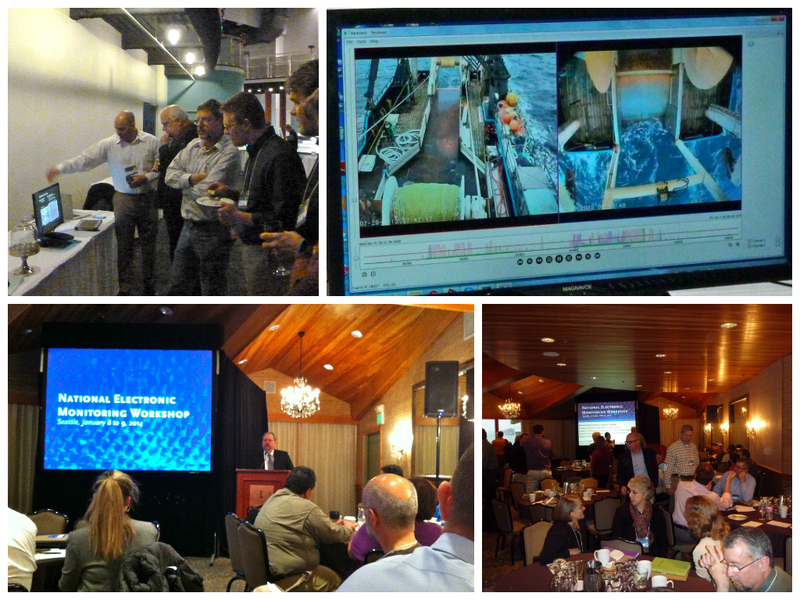 We’re proud of the workshop outcomes and look forward to sharing lessons learned from the workshop with our partners across the eight U.S. fisheries regions and internationally. To learn more about EDF’s work on Electronic Monitoring visit our Monitoring Fisheries Electronically webpage. This entry was posted in Domestic, Science/Research and tagged accountability, Data Collection, Electronic Monitoring, EM, innovation, Monitoring, technology. Bookmark the permalink. Both comments and trackbacks are currently closed.